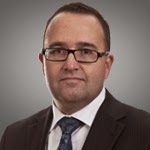 The judgement - handed down last Friday by NSW Supreme Court Justice Paul Brereton - ruled on the application of Danny Vrkic, a Wollongong-based insolvency practitioner seeking to terminate the winding up of On Q Group so as to facilitate the effectuation of a DoCA. But while outlining his reasons for ultimately granting Vrkic's application, the judge expressed multiple reservations about how On Q Group's insolvency has played out. One concern related to the remuneration of On Q Group's liquidators, Worrells' Matthew Jess and Paul Burness, who were appointed liquidators via a creditors voluntary winding up on December 23, 2008. Justice Brereton questioned the liquidation's purpose. recover in excess of $725,000 of assets and transfer it to the liquidators, their agents and advisers, with no benefit at all to those for whose benefit the liquidation is supposed to be conducted. I find this profoundly disturbing," he said. Prior to the judgement Jess and Burness presented evidence to justify their remuneration, with Jess filing an affidavit on October 1 2014 which laid out the complexities of the liquidation and the work done. The judge however seemed unconvinced. "But even assuming that every dollar of remuneration can be supported on the basis of time spent at their usual rates, it is difficult to see how it can be justified having regard to considerations of proportionality," he said, referring to his recent decision in the matter of AAA Financial Intelligence Ltd (in liquidation) ACN 093 616 445 (No 2)  NSWSC 1270 (17 September 2014). In a statement provided to SiN, Worrells shed more light on the background to On Q Group's complicated clean up. "Prior to us accepting this appointment, we are aware that at least one other major insolvency firm had refused to consent to act due to the significant risk and uncertainty associated with the appointment," the firm said. "The Voluntary Administration and subsequent Liquidation of the Company was burdened with a number of complexities, including several separate legal proceedings, and significant costs that we were required to personally fund (at our expense and risk) as there were no recoveries until more than 12 months following our appointment. "Worrells supports proper scrutiny of liquidators remuneration and we welcome open discussions on insolvency matters." Justice Brereton's judgement, following hard on the heels of the AAA Financial decision, also drew a quick response from the Australian Restructuring, Insolvency & Turnaround Association (ARITA). Richard Albarran and Blair Pleash must justify authorising more than half a million dollars in legal fees paid to their former solicitors after the NSW Supreme Court's Justice Ashley Black yesterday ruled the Hall Chadwick partners had failed to adequately review the solicitor's invoices. In handing down judgement in the matter of Joe & Joe Developments (Subject to a Deed of Company Arrangement). Justice Black found the lack of scrutiny unintentional but "significant". 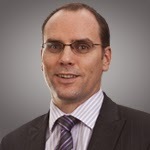 "I am satisfied, for the purposes of s 447E of the Corporations Act, that Messrs Albarran and Pleash have managed the Company's business in a way that is prejudicial to the interests of its creditors or members, or have made an omission that is prejudicial, by reason of their failure to undertake appropriate review of the invoices which they had received from their former solicitors, and thereby to supervise the work undertaken by those former solicitors," Justice Black said at paragraph 184 of his 111 page judgement. "I am also satisfied that the matter is of significance, given the extent of the potential issues arising on the face of the former solicitors' invoices and the extent of the deficiency in the deed administration, and that the Court should properly make an order under that section to seek to address the issue." The judge's findings represent a partial win for plaintiff Tony Elias, a director and shareholder of Joe & Joe Developments. 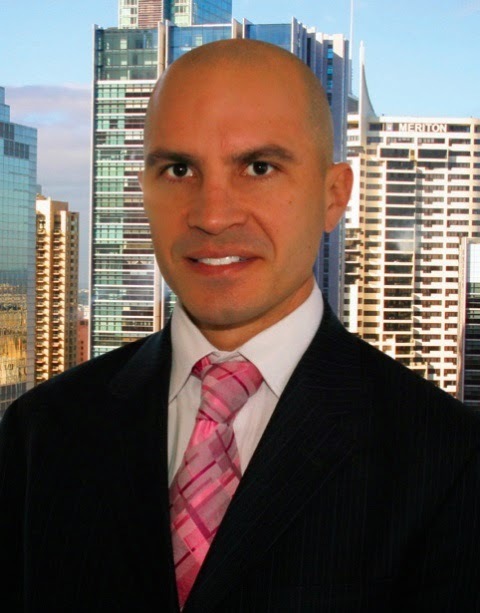 The building firm has been subject to the terms of a DoCA executed on March 31, 2009 after Tony Elias and co-shareholder Joseph Kossaifi fell out in 2008 over the best way to distribute the profits from their mixed commercial and residential development at North Narrabeen. Albarran and Pleash, neither of whom responded to multiple requests for comment, were appointed voluntary administrators on February 9, 2009. Their former solicitors, who Justice Black chose not to identify, were engaged to undertake the legal work on behalf of the VAs. The parties then executed the DoCA and the former solicitors continued to act for Albarran and Pleash in their capacity as deed administrators. But feuding between the shareholders impeded the DoCA's progress, a fact Justice Black acknowledged. "The development of the commercial and retail units on that land took place between November 2005 and March 2007. Differences between Mr Elias and Mr Kossaifi as to what should be done in respect of the completed development emerged from early 2007 and had grown to a substantial dispute by 2008. It seems to be common ground, and was amply demonstrated by the evidence, that at least Mr Kossaifi and Mr Elias were no longer willing or able to work together by that time," Justice Black said. He was also reluctant to accept some of the more vociferous pleadings about the legal fees paid to the former solicitors, which stand between $500,000 and $800,000 depending on which side you listen to. "The Plaintiffs submit that, had a costs agreement been entered into for each piece of work of matter that the solicitors were acting on, it would have been clear what their instructions were, what the scope of the work was to be and what was to be charged. 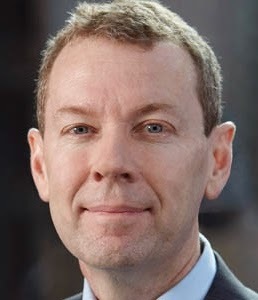 "It seems to me that submission has, first, the difficulty that it would not have been practicable for a costs agreement to have been entered into for each segment of work, although it may have been open to plan or budget segments of the work in a manner that was not done; but, more fundamentally, there is little likelihood that that course would have reduced the costs which arose from the complexity of the administration, the non­-compliance by the shareholders with the terms of the DOCA and the numerous disputes which arose as to the respective parties' obligations to which I have referred." The judge in fact goes into great detail about how shareholder dysfunction frustrated the efforts of Albarran and Pleash to effectuate the terms of the DoCA and while finding that they had fallen short of the standard expected in terms of adequately monitoring the lawyer's invoices, said "a failure of process is not the same as indifference". 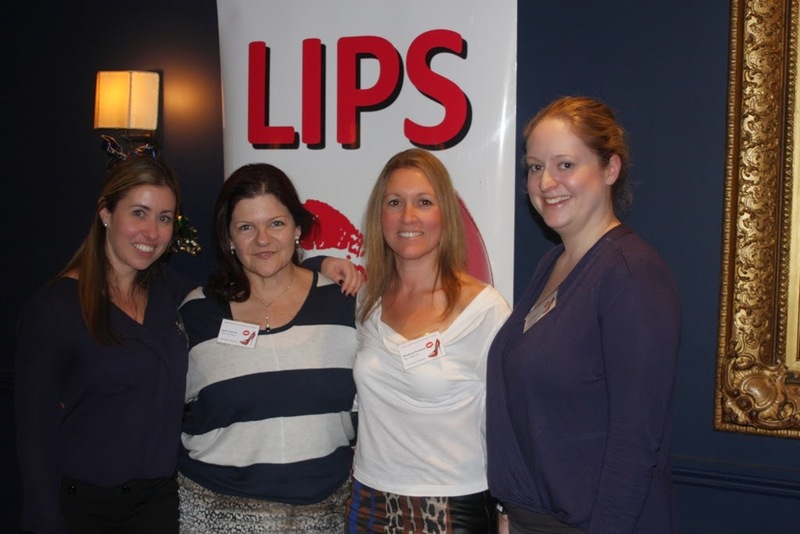 THE Ladies Insolvency Practitioners Soiree (LIPS) has locked-in sponsors for its end of year all-gender affair, scheduled to be held at the O Bar on December 18. GraysOnline and M+K Lawyers have dusted off the purses to support the networking event and LIPS committee member Laura Stanton told SiN she is confident that at least two other players in the insolvency space are close to deciding whether to commit. “We’re in talks with two others. Hall Chadwick, which sponsored us last year and Macquarie Bank,” she said. Stanton described LIPS' recent Christmas in July function as a genuine success, attracting around 75 female insolvency practitioners and legal professionals to the Royal Exchange on Gresham Street. Perhaps the prizes helped. Champagne and spa vouchers from Bridges Lawyers, make-up from San Francisco-based make up group, Benefit Cosmetics. Meanwhile LIPS also plans hosting a gathering on November 6 where the focus will be on networking. Work also continues on the design and implementation of a possible mentoring program. “We’ve had a lot of interest from people who want to be mentees,” Stanton told SiN, adding that LIPS had talked with corporate mentoring specialists PropellHer about the possibility of adapting a software platform that gives effect to insolvency-focused mentor/mentee relationships. IT was during a recent hearing in the NSW Supreme Court that the ghosts of Terra Cresta were invoked. The hearing - held in August - tested allegations that Hall Chadwick partners Richard Albarran and Blair Pleash had managed the affairs of building firm Joe & Joe Developments Pty Ltd in a manner prejudicial to the company's creditors. One of Joe & Joe's shareholders - the Elias Family - alleges that Albarran and Pleash have as deed administrators of Joe & Joe, allowed Etienne Lawyers to grossly overcharge for work on the Joe & Joe administration, now in its fifth year. Etienne chairman Steven Brown - who is not a party to the proceedings - has handled much of the legal work involved with Joe & Joe's complex deed of company arrangement (DoCA) since its execution in March 2009. He told SiN it would be inappropriate to comment for this story. Following the hearing, Presiding judge Justice Ashley Black reserved his judgement on the matter. In the interim Brown continues to act for Pleash and Albarran, who remain deed administrators of Joe & Joe's DoCA pending judgement. For their part, Pleash and Albarran utterly deny the plaintiff's allegations. They argue that Etienne's legal fees are consistent with a job of such complexity, duration and disputation; that animosity between Joe & Joe's two shareholder families has fatally delayed the DoCA's effectuation and that contrary to the claims of the plaintiff, pressing tax debts warranted their appointment as voluntary administrators. Also in dispute is the much-criticised share-buyback mechanism included in the DoCA with each side saying it was first proposed by the other. As Albarran did not submit an affidavit in the Joe & Joe proceedings and did not take to the witness box to rebut the allegations made by the Elias family, he wasn't present to counter the allegations about Terra Cresta. However in a letter from his lawyers he described the allegations that his decision to appoint Etienne Lawyers to handle the legal work on Joe & Joe was influenced by losses Etienne sustained years before on the Terra Cresta job as: "scandalous, unsubstantiated and unsourced". The Terra Cresta allegations came on the second last day of the hearing when barrister Roger Marshall for the plaintiffs - and ironically one who helped lay the apparition to rest - unexpectedly invoked the ghost, discomfiting Blair Pleash who occupied the witness box at the time. Marshall: "Etienne Lawyers were first engaged for the company (Joe & Joe) by Mr Albarran, is that correct? AFTER 12 years ASIC and AFSA have renewed their vows, signing a memorandum of understanding (MOU) that replaces a previous arrangement entered into by the regulators of corporate and personal insolvency in April 2002. The new MOU is designed to facilitate the exchange of information and ensure appropriate referral of relevant matters between the two agencies. It is also intended to promote cooperation in the areas of compliance, education and enforcement by obliging the regulators to share information when it would make sense to do so and allows for the establishment of joint task forces when and where appropriate. In promoting a spirit of cooperation one would’ve thought should have already existed, the MOU requires that ASIC and AFSA liaise in regards to operational and policy matters, liaising being defined for the purposes of the MOU as, among other things, a minimum two meetings a year. Like a good pre-nup the new MOU’s goals are judiciously curtailed by indistinct and ambivalent legalese, best exemplified by the phrases “best endeavours”, “where appropriate” and “subject to each agency’s obligations at law”.